PDX shuttle airport know Kalama is a city in Cowlitz County, Washington, United States. 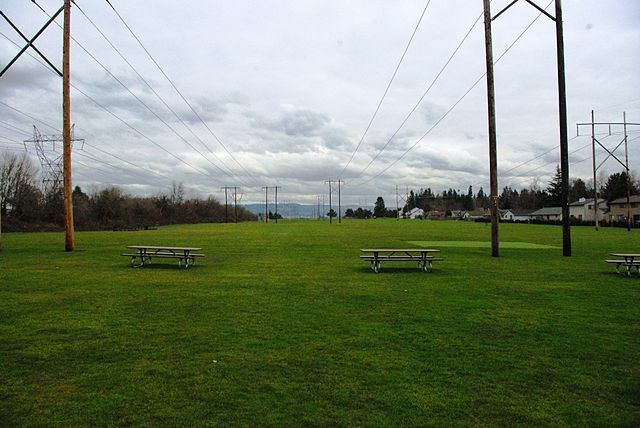 It is part of the Longview, Washington Metropolitan Statistical Area. The population was 2,500, according to the Washington State Office of Financial Management. 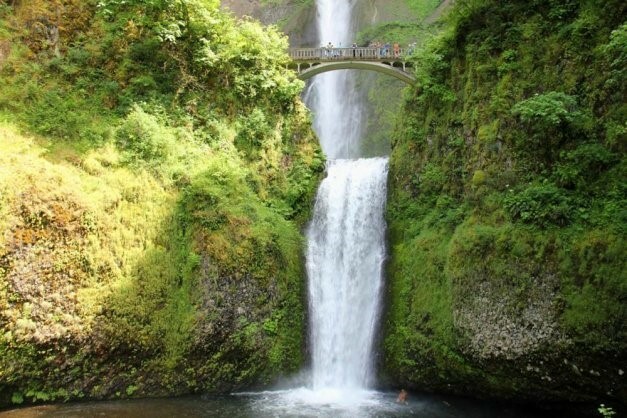 Kalama was first settled by Native Americans, particularly members of the Cowlitz Indian Tribes. The first white settler recorded was in 1853. That first settler was Ezra Meeker and his family. 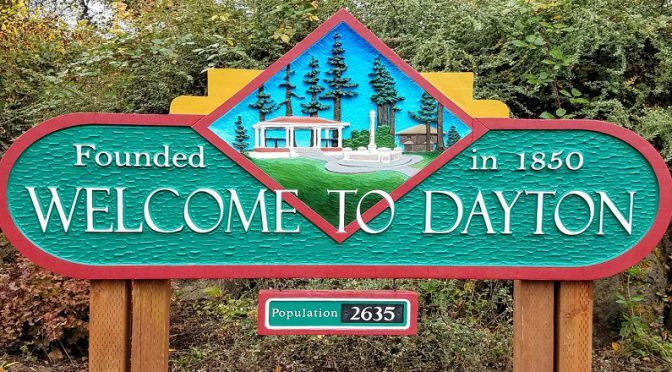 Only one year later, Meeker moved to north Puyallup, Washington, but he sold his Donation Land Claim to a Mr. Davenport, who, with a few others, permanently settled in the Kalama area. 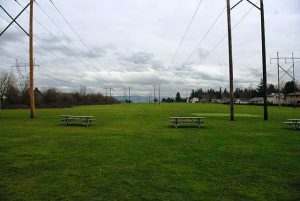 In early 1870, Northern Pacific Railway scouts came to Cowlitz County to find an ideal terminus along the Columbia River. 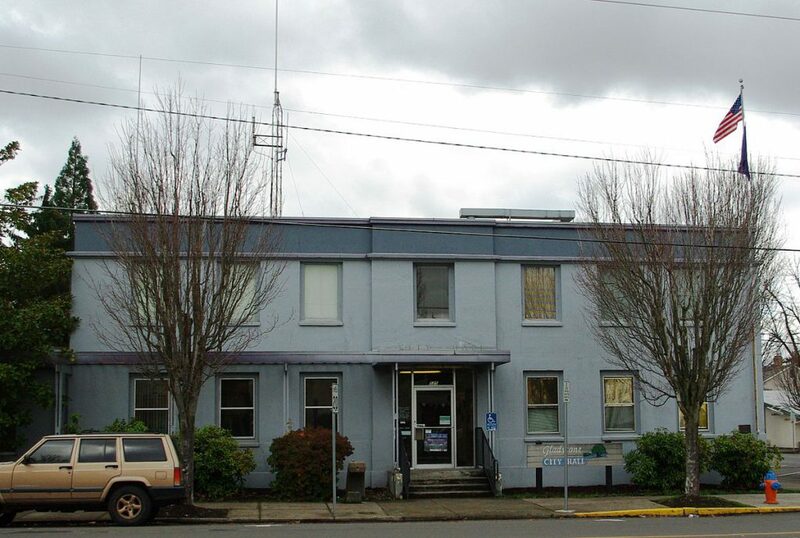 After a failed negotiation for a Donation Land Claim in Martin’s Bluff, four miles south of Kalama, Northern Pacific officials purchased 700 acres in Kalama for the terminus of the new railroad as well as a new headquarters. The population swelled with employees of the Northern Pacific Railway. Kalama was entirely a Northern Pacific railroad creation. It was unofficially born in May 1870 when the Northern Pacific railroad turned the first shovel of dirt. Northern Pacific built a dock, a sawmill, a car shop, a roundhouse, a turntable, hotels, a hospital, stores, homes. In just a few months in 1870, the working population exploded to approximately 3500 and the town had added tents, saloons, a brewery, and a gambling hall. Soon the town had a motto: “Rail Meets Sail”. Recruiters went to San Francisco and recruited Chinese labor, who moved to their own Chinatown in a part of Kalama now called China Gardens. 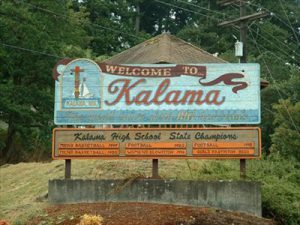 The population of Kalama peaked at 5,000 people, but in early 1874, the railroad moved its headquarters to Tacoma, and by 1877, only 700 people remained in Kalama. However the crossing times were excessive when the Tacoma had to work against the tide, and the ferry slip was soon moved to Goble at the north end of Sandy Island and directly across from Kalama. The ferry could handle 12 passenger cars or 27 freight cars. PDX shuttle airport find As of the census of 2010, there were 2,344 people, 967 households, and 665 families residing in the city. The population density was 846.2 inhabitants per square mile (326.7/km2). There were 1,070 housing units at an average density of 386.3 per square mile (149.2/km2). The racial makeup of the city was 91.3% White, 0.6% African American, 1.3% Native American, 1.2% Asian, 0.1% Pacific Islander, 1.8% from other races, and 3.7% from two or more races. Hispanic or Latino of any race were 4.9% of the population. There were 967 households of which 31.6% had children under the age of 18 living with them, 52.0% were married couples living together, 11.5% had a female householder with no husband present, 5.3% had a male householder with no wife present, and 31.2% were non-families. 25.4% of all households were made up of individuals and 10.6% had someone living alone who was 65 years of age or older. The average household size was 2.42 and the average family size was 2.88. The median age in the city was 41.4 years. 23.5% of residents were under the age of 18; 6.3% were between the ages of 18 and 24; 24% were from 25 to 44; 29.5% were from 45 to 64; and 16.6% were 65 years of age or older. The gender makeup of the city was 48.8% male and 51.2% female. Jackson Gillis, television writer, was born in Kalama. Anna Kashfi (born Joan O’Callaghan) Brando Hannaford, the first wife of Marlon Brando, was a long-term resident of Kalama until her death. Kashfi and her son Christian Brando are buried in Kalama. 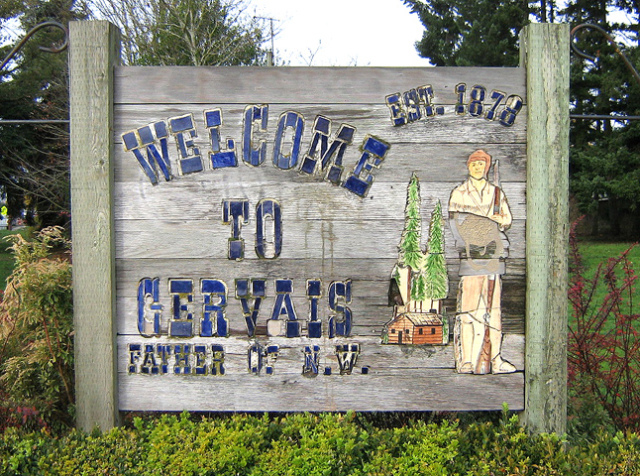 The city is named for pioneer Joseph Gervais who was one of the first settlers on French Prairie. On October 6, 1902, the business district of the city burned and losses were estimated at $100,000. The local fire department’s power was insufficient to handle the fire so Portland and Salem were called upon to help. Unfortunately they were unable to respond in time to help. In little over an hour all but two of the businesses in the town had burned to the ground. PDX shuttle airport know In the late 1960s, Russian Old Believers established a small colony between Gervais and Mt. Angel. 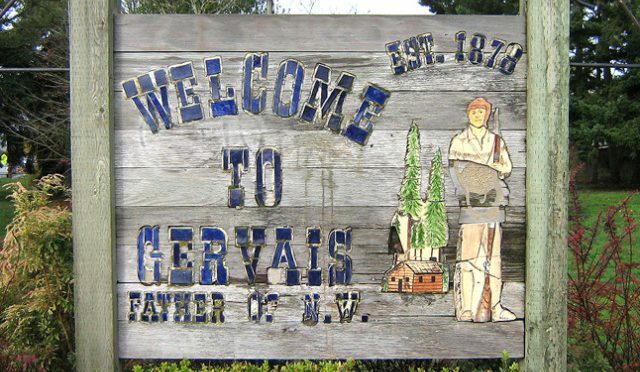 As of 2002, Oregon had the highest population of Old Believers in the United States. PDX shuttle airport find As of the census of 2010, there were 2,464 people, 579 households, and 506 families residing in the city. The population density was 6,317.9 inhabitants per square mile (2,439.4/km2). There were 628 housing units at an average density of 1,610.3 per square mile (621.7/km2). The racial makeup of the city was 52.4% White, 0.6% African American, 3.7% Native American, 0.9% Asian, 38.0% from other races, and 4.5% from two or more races. Hispanic or Latino of any race were 67.1% of the population. There were 579 households of which 61.0% had children under the age of 18 living with them, 63.6% were married couples living together, 15.4% had a female householder with no husband present, 8.5% had a male householder with no wife present, and 12.6% were non-families. 7.8% of all households were made up of individuals and 1.9% had someone living alone who was 65 years of age or older. The average household size was 4.25 and the average family size was 4.40. The median age in the city was 26.3 years. 37.3% of residents were under the age of 18; 10.6% were between the ages of 18 and 24; 30.6% were from 25 to 44; 17.8% were from 45 to 64; and 3.7% were 65 years of age or older. The gender makeup of the city was 52.5% male and 47.5% female. As of the census of 2000, there were 2,009 people, 452 households, and 391 families residing in the city. The population density was 5,133.7 people per square mile (1,988.9/km²). There were 477 housing units at an average density of 1,218.9 per square mile (472.2/km²). The racial makeup of the city was 40.32% White, 0.35% African American, 1.54% Native American, 0.30% Asian, 0.05% Pacific Islander, 52.91% from other races, and 4.53% from two or more races. Hispanic or Latino of any race were 65.21% of the population. There were 452 households out of which 59.7% had children under the age of 18 living with them, 66.8% were married couples living together, 9.7% had a female householder with no husband present, and 13.3% were non-families. 9.5% of all households were made up of individuals and 2.7% had someone living alone who was 65 years of age or older. The average household size was 4.39 and the average family size was 4.45. In the city, the population was spread out with 37.7% under the age of 18, 12.9% from 18 to 24, 34.0% from 25 to 44, 10.6% from 45 to 64, and 4.7% who were 65 years of age or older. The median age was 24 years. For every 100 females, there were 120.5 males. For every 100 females age 18 and over, there were 132.1 males. The median income for a household in the city was $43,882, and the median income for a family was $44,118. Males had a median income of $21,490 versus $21,167 for females. The per capita income for the city was $10,862. About 13.3% of families and 17.3% of the population were below the poverty line, including 20.9% of those under age 18 and 11.0% of those age 65 or over. Estacada /ˌɛstəˈkeɪdə/ is a city in Clackamas County, Oregon, United States, about 30 miles (48 km) southeast of Portland. The population was 2695 at the 2010 census. 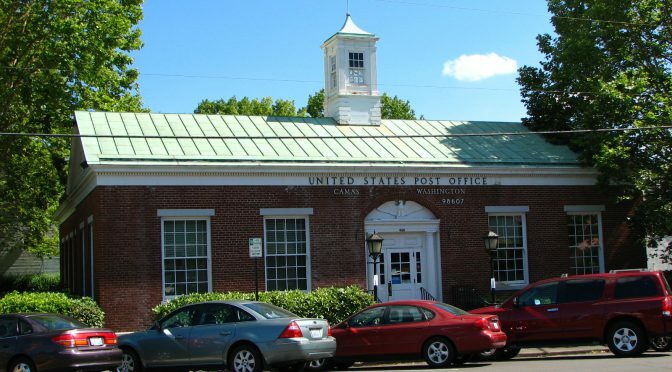 The Estacada post office opened in February 1904 and the city was incorporated in May 1905. 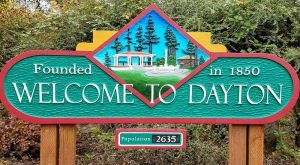 The community formed as a camp for workers building a hydroelectric dam on the nearby Clackamas River that was to supply Portland with electricity. At the time, the river was relatively inaccessible by road, forcing the Oregon Power Railway Company to build a railway to the vicinity of the river to transport crews to the river for the construction of the dam. 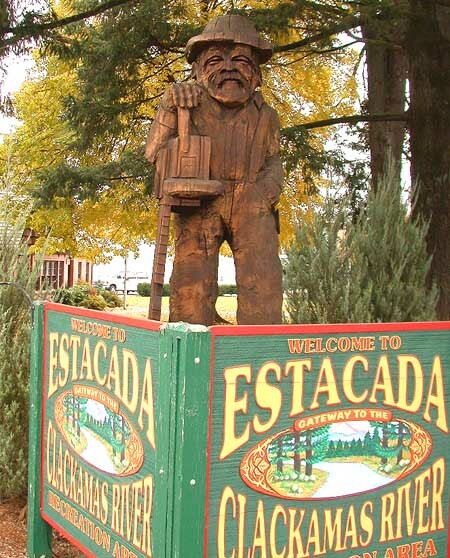 After the construction of the Hotel Estacada, the town became a weekend destination on the railroad line for residents of Portland. During the week, the train carried freight and work crews to and from Portland. Following the development of the dams, the city became a hub for the logging industry. In the early 20th century, a trolley line connected the town with downtown Portland. The railway line has been removed and there is no longer rail service to Estacada. Estacado is a Spanish word and it means “staked out” or “marked with stakes”. It was first suggested by George Kelly as a name for the town site at a meeting of the Oregon Water Power Townsite Company directors on December 27, 1903. Kelly had selected the name at random from a U.S. map showing Llano Estacado in Texas. If Kelly’s suggestion had not been drawn from the hat, the town could have been named Rochester, Lowell or Lynn. 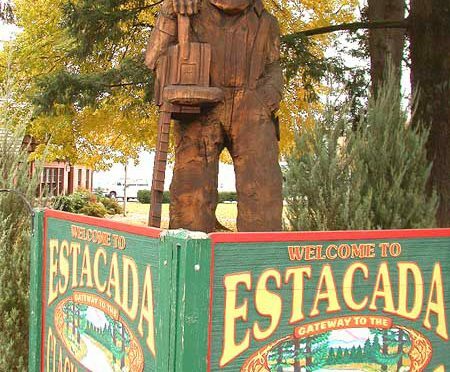 The name Estacada is also used in Arizona. As of the census of 2010, there were 2,695 people, 1,062 households, and 672 families residing in the city. The population density was 1,340.8 inhabitants per square mile (517.7/km2). There were 1,155 housing units at an average density of 574.6 per square mile (221.9/km2). The racial makeup of the city was 92.0% White, 0.8% African American, 0.7% Native American, 1.2% Asian, 0.2% Pacific Islander, 2.7% from other races, and 2.4% from two or more races. Hispanic or Latino of any race were 7.5% of the population. There were 1,062 households of which 35.1% had children under the age of 18 living with them, 43.8% were married couples living together, 14.0% had a female householder with no husband present, 5.5% had a male householder with no wife present, and 36.7% were non-families. 30.4% of all households were made up of individuals and 15.1% had someone living alone who was 65 years of age or older. The average household size was 2.53 and the average family size was 3.16. The median age in the city was 35.7 years. 26.8% of residents were under the age of 18; 8.3% were between the ages of 18 and 24; 27.2% were from 25 to 44; 24.6% were from 45 to 64; and 12.9% were 65 years of age or older. The gender makeup of the city was 49.8% male and 50.2% female. TriMet‘s route 30 from Clackamas stops at Estacada City Hall Monday through Saturday. Sandy Area Metro (SAM) extends bus service from City Hall to Sandy on weekdays, with connections to Gresham, connecting with TriMet lines and MAX light rail there and you can use PDX shuttle airport instead of bus. Rock creek is a census-designated place in Washington County, Oregon, United States, north of U.S. Route 26. It is named for the Rock Creek neighborhood in the area. As of the 2010 census, the CDP population was 9,316. 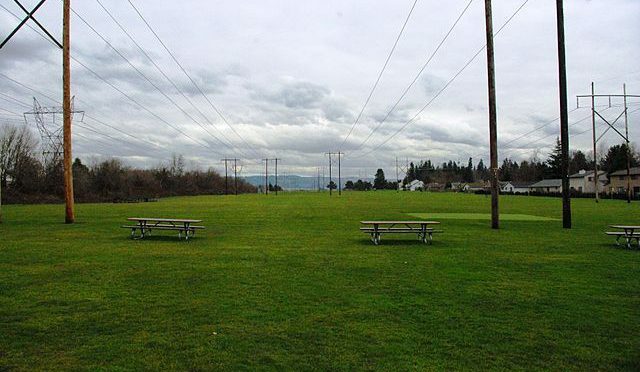 The community is bordered on the south and west by Hillsboro, with Cornelius Pass Road dividing the two on the west and the Sunset Highway as the dividing line on the south. 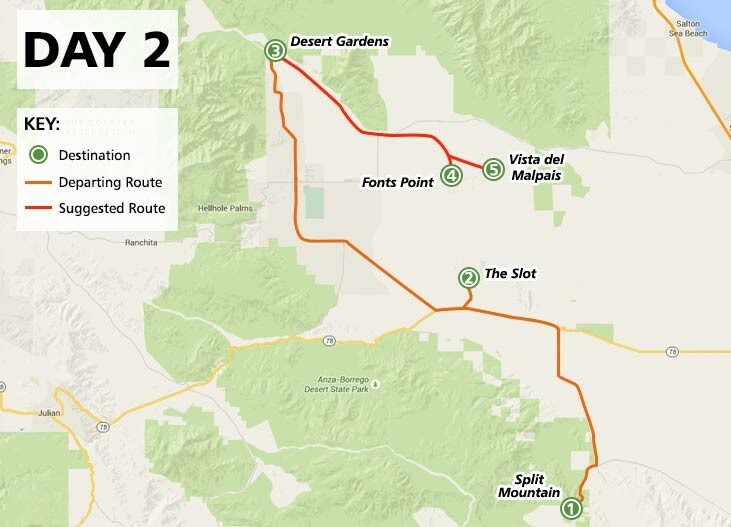 According to the United States Census Bureau, the CDP has a total area of 2.0 square miles (5.2 km2), all land. An unincorporated community, Rock creek does not have a municipal government. 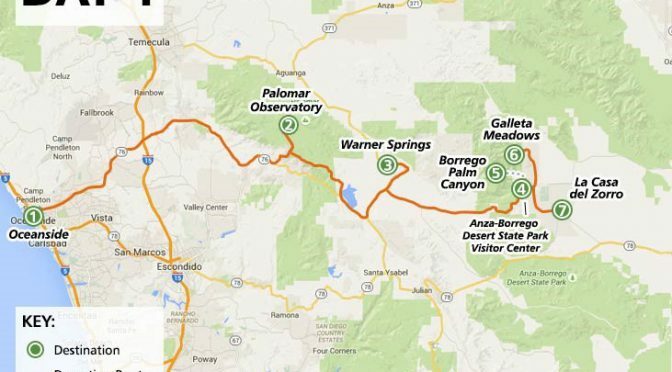 Government services are provided by a variety of regional districts. 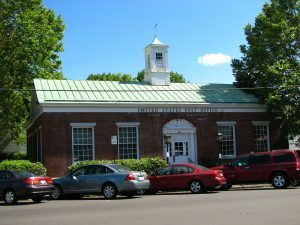 The area lies within both the Hillsboro School District and the Beaverton School District. Fire protection is provided by Tualatin Valley Fire & Rescue, Hillsboro Fire & Rescue, and Washington County Fire District 2. Law enforcement comes from the Washington County Sheriff. 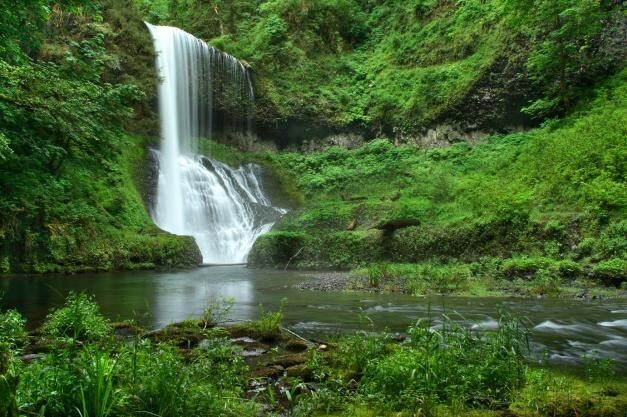 Rock creek is within the Portland metropolitan area‘s regional government, Metro, while parks are provided by the Tualatin Hills Park & Recreation District. As of the census of 2010, there were 9,316 people, 3,674 households, and 2,584 families residing in the CDP. The population density was 4,689.8 people per square mile (1,806.4/km²). There were 3,609 housing units at an average density of 1,799.8 per square mile (693.3/km²). The racial makeup of the CDP was 72.7% European American, 1.4% African American, 0.3% Native American, 19.1% Asian American, 0.2% Pacific Islander, 2.10% from other races, and 4.10% from two or more races. Hispanic or Latino of any race were 5.8% of the population. There were 3,501 households out of which 39.6% had children under the age of 18 living with them, 62.3% were married couples living together, 7.8% had a female householder with no husband present, and 26.9% were non-families. 20.3% of all households were made up of individuals and 3.4% had someone living alone who was 65 years of age or older. The average household size was 2.69 and the average family size was 3.15. In the CDP, the population was spread out with 28.6% under the age of 18, 7.5% from 18 to 24, 31.5% from 25 to 44, 25.6% from 45 to 64, and 6.7% who were 65 years of age or older. The median age was 35 years. For every 100 females there were 102.5 males. For every 100 females age 18 and over, there were 100.9 males. The median income for a household in the CDP was $63,958, and the median income for a family was $71,377. Males had a median income of $51,257 versus $34,591 for females. The per capita income for the CDP was $30,102. About 4.2% of families and 6.5% of the population were below the poverty line, including 9.3% of those under age 18 and 2.0% of those age 65 or over. PDX shuttle airport know Molalla /məˈlɑːlə/ is a city in Clackamas County, Oregon, United States. The population was 8,108 at the 2010 census. Since the late 1990s the city has been experiencing a surge in growth and expansion in the residential sector. 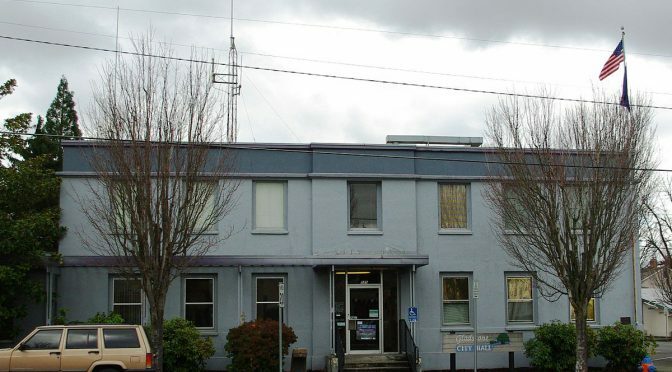 A number of business franchises have located in Molalla since 2000. In 2005, Molalla installed its first stoplight, at the intersection of Oregon Route 211 and Oregon Route 213, because of the traffic brought by the increased business activity. 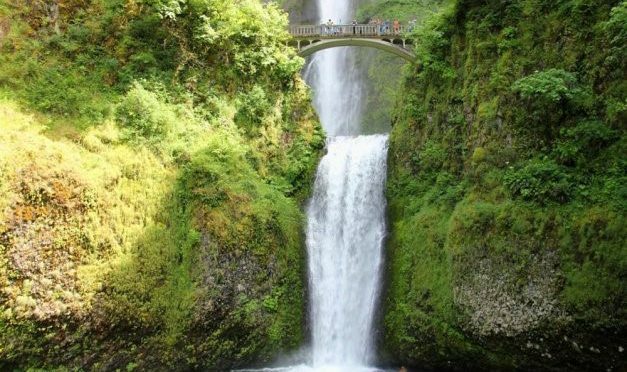 Molalla is located in the foothills of the Cascade Range, near the Mount Hood National Forest, 15 miles (24 km) south of Oregon City and 13 miles from Interstate 5. 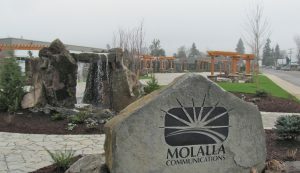 Molalla is surrounded by farms and rural residential development. 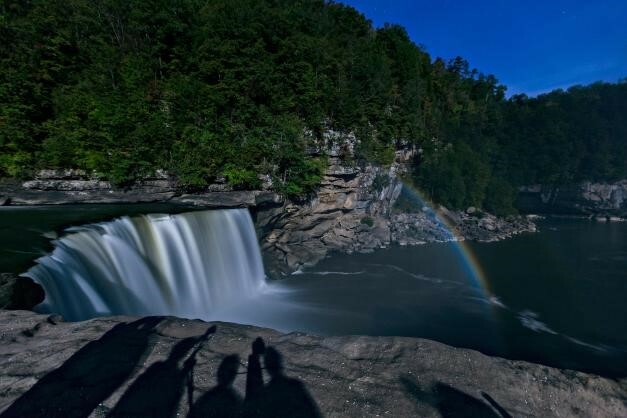 There are many rock quarries, and thousands of acres of private timberlands, that feed natural resource materials into the economy. Several of the tree farms are managed for totally maintained and sustained forest. 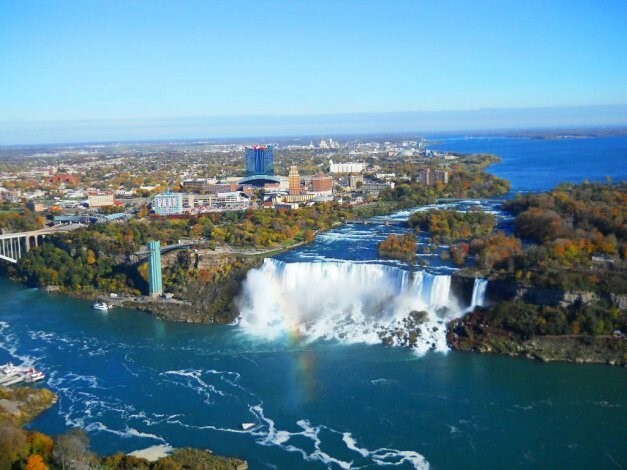 According to the United States Census Bureau, the city has a total area of 2.26 square miles (5.85 km2), of which, 2.21 square miles (5.72 km2) is land and 0.05 square miles (0.13 km2) is water. This region experiences warm (but not hot) and dry summers, with no average monthly temperatures above 71.6 °F (22.0 °C). 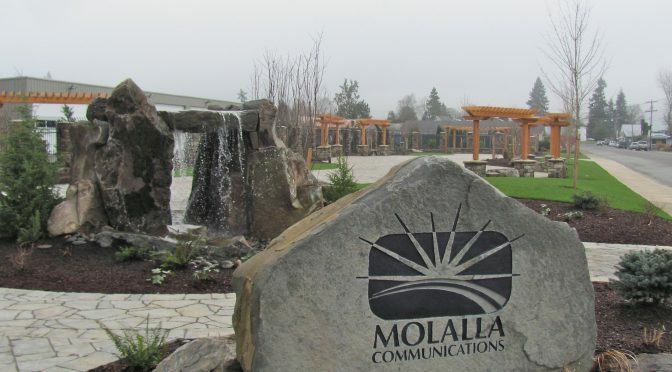 According to the Köppen Climate Class ification system, Molalla has a warm-summer Mediterranean climate, abbreviated “Csb” on climate maps. 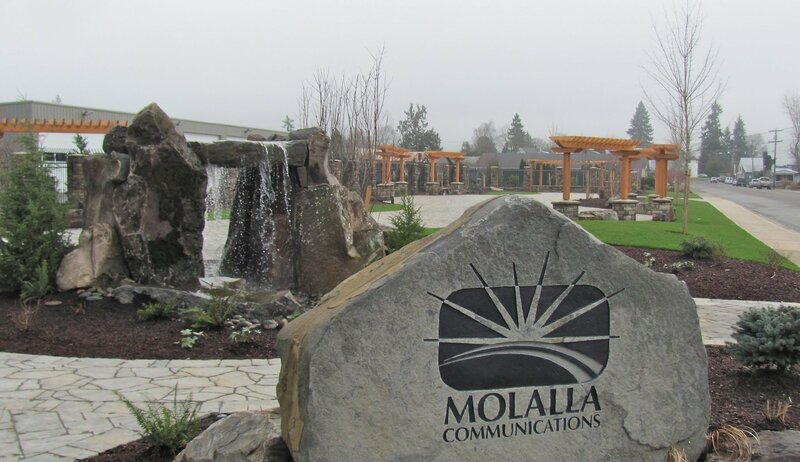 Molalla receives precipitation ranging from an average of 0.60 inches (15 mm) in July to an average of 6.62 inches (168 mm) in December. As of the census of 2010, there were 8,108 people, 2,857 households, and 2,067 families residing in the city. The population density was 3,668.8 inhabitants per square mile (1,416.5/km2). There were 3,017 housing units at an average density of 1,365.2 per square mile (527.1/km2). The racial makeup of the city was 86.9% White, 0.6% African American, 1.0% Native American, 0.8% Asian, 0.3% Pacific Islander, 7.5% from other races, and 2.9% from two or more races. Hispanic or Latino of any race were 14.5% of the population. There were 2,857 households of which 44.8% had children under the age of 18 living with them, 53.9% were married couples living together, 12.2% had a female householder with no husband present, 6.2% had a male householder with no wife present, and 27.7% were non-families. 22.5% of all households were made up of individuals and 9.5% had someone living alone who was 65 years of age or older. The average household size was 2.82 and the average family size was 3.30. The median age in the city was 31.4 years. 30.7% of residents were under the age of 18; 8.3% were between the ages of 18 and 24; 31.4% were from 25 to 44; 19.6% were from 45 to 64; and 9.8% were 65 years of age or older. The gender makeup of the city was 49.4% male and 50.6% female. Molalla’s principal road links are Oregon routes 211 and 213. Route 213, heading north, links Molalla to Oregon City and Portland. Heading south, Route 213 connects Molalla to Silverton and Salem. Route 211, which intersects Route 213, connects the city to Canby and Woodburn to the west, and Colton, Estacada, and Sandy to the east. Molalla does not have a rail link within city limits anymore, PDX shuttle airport know although it was formerly served by the Oregon Pacific Railroad. 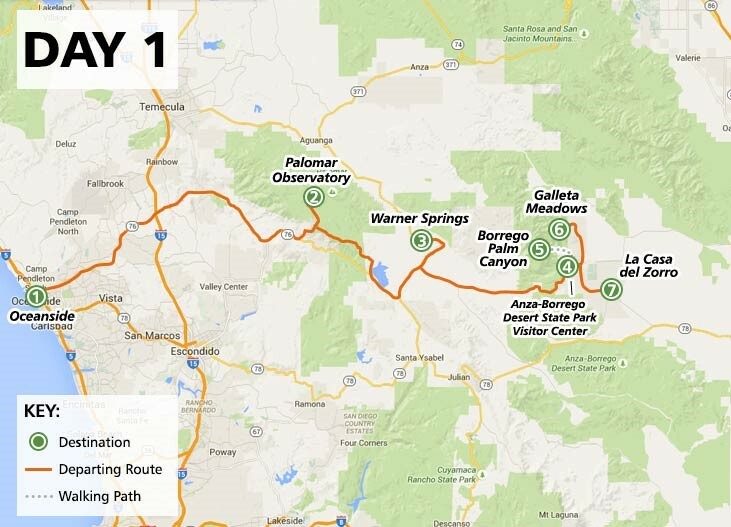 The Oregon Pacific tracks now end at Liberal, 3 miles (5 km) to the north. The closest Amtrak station is in Oregon City. Molalla is the home of the Molalla Buckeroo rodeo (it began in 1913, the same time as the city was founded) and the Apple Festival. The Pacific Coast Freestyle Championships, a model airplane aerobatic tournament, has been held there for 14 years in late July. Several Latino rodeos are held at the rodeo facility by “La Fortuna” in spring, mid-summer, late summer and fall, bringing tens of thousands of Latino families to celebrate in the community. The Fourth of July Parade, sponsored by the Molalla Area Chamber of Commerce, often sports 50,000 spectators. Many other minor festivals—Second Friday, Halloween on Main Street, Christmas in the City, Spring Fling, Easter Egg Hunt in the Park, Fishing Derbies, Trail Rides, The Brew Fest, The North Valley High School Rodeo—all add to the quality of life in Molalla. PDX shuttle airport know there is a miniature steam train, the Shady Dell Pacific Railroad, in Molalla Train Park three miles east of Molalla. An interesting and free exhibit of Rodeo History Honors the “Heroes” of Rodeo memorialized in large brass plaques placed in the sidewalks of Molalla’s city core. The Horace L. Dibble House and the Fred Vonder A he House and Summer Kitchen are buildings in Molalla on the National Register of Historic Places (NRHP) that have been preserved by the Molalla Area Historical Society. The NRHP-listed Rock Creek Methodist Church and William Hatchette Vaughan House are also in the Molalla area.